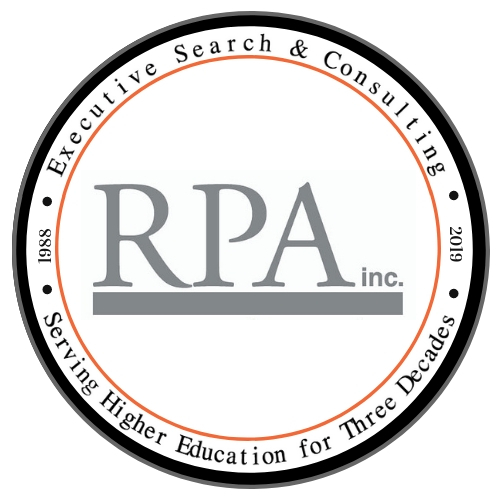 Mission Statement – RPA Inc.
RPA Inc. is a comprehensive executive search and consulting firm providing leadership solutions to our clients in higher education and non-profit organizations. We strive to enhance the missions of our clients through effective leadership placements and expert counsel. We know that the right leadership at the right time is a critical piece to the success of an organization’s mission. This is why we designed our executive search and consulting practices to ensure an alignment between the needs of our clients and those leaders who desire to impact the future. Whether you are interested in a comprehensive executive search process or customized search options, RPA Inc. has the solutions to turn present organizational challenges into future opportunities.